Massachusetts rockers STAIND have announced they will mark the release of their new self-titled album by performing a special show in New York City to benefit the families of 9/11 victims. The show will be held at the Best Buy Theater in Times Square on September 15. In commemoration of the 10th anniversary of 9/11, tickets to the show will be priced at $9.11, with all revenue from the show to benefit the families of 9/11 victims. "As the release of our new album coincides with the 10th anniversary of 9/11, we wanted to use the attention to make the point that there is still much work for all of us to do," said Aaron Lewis, lead singer of STAIND. "We are deliberately making the ticket price $9.11 to underscore the point that if enough of us do just a little bit, together we can make a big difference in the lives of the families whose members made the supreme sacrifice for our country." ROCK MUSIC MENU: Making the case for vinyl: It’s a comeback! A couple weeks ago, I walked into a local specialty music store that shall go unnamed. But you know the type; they sell guitars, amplifiers, snare drums, pedals, etc. 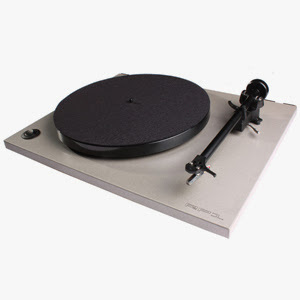 I was looking for a dustcover for my new turntable, a Stanton STR8.150. Online, it had said this was one of the official dealers for accessories to the record players. Though the reaction was slightly better than the one I received at Best Buy when I asked where turntable accessories were located (“I’m sorry sir, but we don’t carry furniture.”), my senior citizen friend could not have been more wrong in her assertion that vinyl was near extinct. 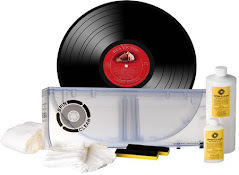 The fact of the matter is vinyl has been on an upswing for years, as audiophiles have tired of MP3 compression and digital quality in other formats like CDs and streaming. It’s become something that is being embraced by bands and fans alike, a comeback that shows no signs of slowing down; especially as artists begin to dedicate more time and effort into vinyl, fans are paying more attention. DOWNTOWN LOS ANGELES - There are a few ways one might discover Caveman Vintage Music, a nearly two-month-old instrument and vinyl record store in Chinatown. There's the Internet, as well as word-of-mouth in the collector community. Then there is the very likely scenario of ambling past Caveman on the way to, or from, the Spring Street Smokehouse next door. Chances are passersby will hear some sweet tunes wafting out the door of the store at 650 N. Spring St. It could be, say, a 1960s recording of the brother guitar duo Santo and Johnny, or perhaps it's just a talented customer trying out one of the nearly two dozen vintage guitars. and in the country of india, vinyl records are still being played and enjoyed! A Long time ago, before there was the iPod, iTunes and the Blu-ray, there was gramophone — and a young nation cocked its years to listen to the quality and warmth of analog sounds and grooved to the black vinyl. In a slew of long-playing (LP) records that came out, you chanced upon the manic genius of Pink Floyd, swayed with the four Liverpudlians with bangs (The Beatles), winked at the mischief of Kahin pe nigahein by Shamshad Begum and traced the sadness in the lower octaves of KL Saigal. If you have missed that ritual — flipping through the stack to look for a particular LP, admiring its artwork, slipping the cover off, feeling the record tremble under your fingertips, placing it on the gramophone and later the turntable — you can relive it, for the LP is back. And this time it is not about old classics, even the latest films are on the LP list. Amid Layoffs, Is Warner Bros. Records Abandoning Rock Music? After more than a dozen radio promotion staffers are let go, and with dance- and urban-flavored pop selling, what does it mean for the revered label's rock roots? Will Green Day and My Chemical Romance take a backseat to Jason Derulo and New Boyz? The goodbye email from Reprise senior vice president of promotion Mike Rittberg said it all. “Before my first job at a record store I had dreamed to work at Warner Bros. Records,” he wrote on Sept. 8, the day he and more than a dozen others were laid off from Warner Music Group, most from promotion departments at venerable labels Warner Bros. and Reprise. 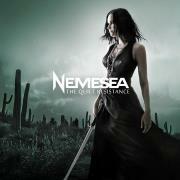 Nemesea has recently revealed the cover art and track list for their new album called 'The Quiet Resistance.' It is their third studio album, the first one for Napalm Records and will be a fine-tuned combination of rock, metal and electro." Release date is November 22, 2011 in the USA and Canada. BOOTLEG copies of rare vinyl records by artists including Michael Jackson, Madonna and Kylie worth more than £40,000 have been seized from a Birmingham warehouse. 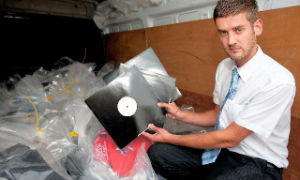 More than 4,000 fake records were stockpiled at a central Birmingham warehouse ready to be sold to eager fans and collectors after being advertised as "rare." this is a cool album cover! 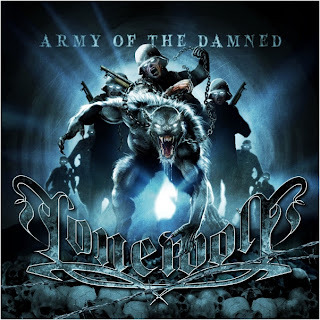 French metallers LONEWOLF are in the studio currently mixing their new studio albumcalled 'Army Of The Damned' at the MP Studio in Poland. The effort was produced by Bart Gabriel (JACK STARR'S BURNING STARR, CRYSTAL VIPER), who previously worked with the band on 2009's 'The Dark Crusade.' One of the new songs features a special guest appearance by ex-IRON MAIDEN singer Blaze Bayley. 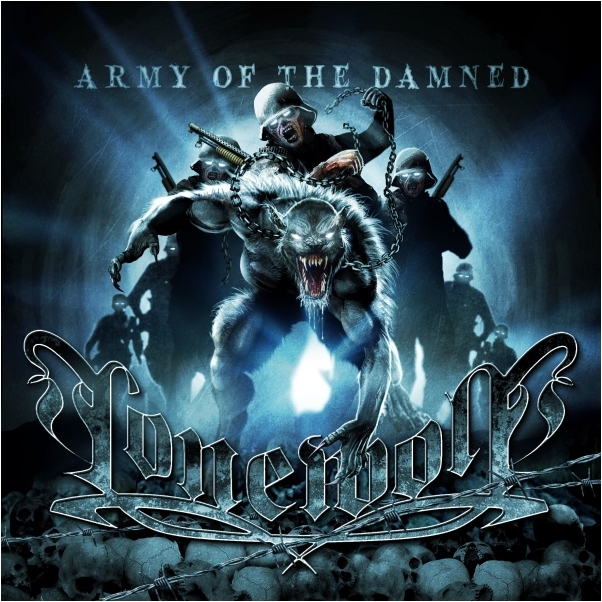 LONEWOLF is often described as the "new RUNNING WILD" as they mix classic metal influences of such bands as RUNNING WILD, ACCEPT and GRAVE DIGGER with the new attitude of groups like POWERWOLF. PRNewswire/ -- WAR's first album in more than 15 years, titled WAR.COM, will be released by UMe early next year. The Southern California natives are best known for their blend of funk, rock, latin, blues, reggae, and soul, and their smash hits "Low Rider," "Spill The Wine," "The Cisco Kid" and "Why Can't We Be Friends?" which have all been placed in many television shows, movies and commercials, as well as sampled time and time again. Their new album features piano virtuoso and founding member Lonnie Jordan's strong and signature vocals, genre-crossing instrumentation and a few collaborations that bridge the gap between the '70s and today. Top producer and two-time Grammy® award-winner and lyricist Malik Yusef, who is best known for his work with Elton John, Kanye West and John Legend, is co-producing and co-writing with Lonnie as well WAR's multi-platinum-selling producer, Jerry Goldstein. WAR, Yusef and producer Jerry Goldstein are working diligently to maintain the integrity of WAR's sound that resulted in more than 50 million album sales worldwide while expanding their sound to include a new generation of young fans. DJ's all over the world are awaiting the first single, "Bounce." Comments Malik Yusef, "I am pleased to be able to take what we do with Kanye West and apply it to the band WAR. Endeavors like this rarely live up to expectation, but I am excited and anxious to report that this one is exceeding all expectations. Being that some of the songs I have co-produced and collaborated on are on the radio currently, gives me a good gauge on what the mainstream is looking for while holding true to my underground roots and respecting WAR's existing fan base." Added WAR vocalist Lonnie Jordan, "Working together has definitely been a wonderful experience because of the fact that we are branching out to the new world today and blending the sound of our new music into what I call a beautiful, tasty, sweet mixed salad bowl of music from a wide variety of different genres." got to love the old rocker! 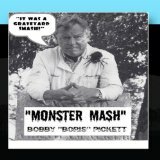 In 1962, the BBC banned Monster Mash by Bobby Boris Pickett & the Crypt Kickers, saying it was offensive. They eventually relented and the song went on to be a UK #3 hit in 1973. In 1963, London's Daily Mirror prints a Donald Zec interview with The Beatles under the heading "Four Frenzied Little Lord Fauntleroys Who Are Making £5,000 Every Week." huh? In 1965, The Byrds begin recording “Turn! Turn! Turn!” Unlike on their first hit, “Mr. Tambourine Man,” members of the group itself were permitted to play instead of session musicians. "The Last Train to Clarksville" was released as a single by the Monkees in 1966. By the first week of November, it will be the top tune in the nation. The lyrics describe a phone call by a military man to his girl, asking that she 'take the last train to Clarksville' so they can have one last night together before he has to leave on the morning train. "The Last Train to Clarksville" was written by Tommy Boyce and Bobby Hart, a songwriting team who came up with many songs for the Monkees. They also wrote songs for Chubby Checker and Jay And The Americans. Boyce and Hart wrote this as a protest to the Vietnam War. They had to keep this quiet in order to get it recorded, but it is about a guy who gets drafted and goes to fight in the war. The train is taking him to an army base, and he knows he may die in Vietnam. At the end of the song he states, "I don't know if I'm ever coming home." Bobby Hart: "We were just looking for a name that sounded good. There's a little town in Northern Arizona I used to go through in the summer on the way to Oak Creek Canyon called Clarksdale. We were throwing out names, and when we got to Clarksdale, we thought Clarksville sounded even better. We didn't know it at the time, [but] there is an Air Force base near the town of Clarksville, Tennessee - which would have fit the bill fine for the story line. We couldn't be too direct with The Monkees. We couldn't really make a protest song out of it - we kind of snuck it in." Hart got the idea for the lyrics when he turned on the radio and heard the end of The Beatles' "Paperback Writer." He thought Paul McCartney was singing "Take the last train," and decided to use the line when he found out McCartney was actually singing "Paperback Writer." The Monkees didn't play on this. The 4 members of the group were chosen from over 400 applicants to appear on a TV show based on The Beatles movie A Hard Day's Night. The show was about a fictional band, so the members were chosen more for their looks and acting ability than for their musical talent. Session musicians played on their albums. This was The Monkees' first single. It was released shortly after their TV show started on NBC and got a lot of publicity as a result. The Monkees followed this up with another hit, "I'm A Believer," and had several more hits before their show was canceled in 1968. Eventually, the group wrote their own songs and played their own instruments. Also in 1966, the Supremes achieve their seventh US number one record when "You Can't Hurry Love" tops the Billboard chart. Phil Collins would enjoy similar success with the song sixteen years later when his rendition also went to number one. The number one album in the US in 1966 was 'Revolver by the Beatles. 1967, Elvis Presley recorded “Guitar Man” at RCA studio, Nashville, Tennessee. The New York Dolls split in 1974. In 1977, David Bowie accepts Bing Crosby's invitation to appear as a special guest on Bing's annual Christmas television special. Bowie and Bing sing duets on "Little Drummer Boy" and "Peace on Earth". The songs are recorded for Crosby's album "Merrie Olde Christmas". Also in 1979, Patti Smith announced to a crowd in Florence, Italy that she was retiring from live performances. "She's So Cold" by the Rolling Stones was released in 1980. In 1988, Guns N' Roses enjoyed a number one single with "Sweet Child O' Mine", written for Axl Rose's then girlfriend, Erin Everly, the daughter of The Everly Brothers' eldest sibling, Don Everly. In 1990, the Las Vegas Hard Rock Cafe opened. "I was trying to write the ultimate pop song. I was basically trying to rip off the Pixies. I have to admit it. When I heard the Pixies for the first time, I connected with that band so heavily that I should have been in that band—or at least a Pixies cover band. We used their sense of dynamics, being soft and quiet and then loud and hard." Cobain came up with the song's title when his friend Kathleen Hanna, at the time the lead singer of the Riot Grrrl punk band Bikini Kill, spray painted "Kurt Smells Like Teen Spirit" on his wall. 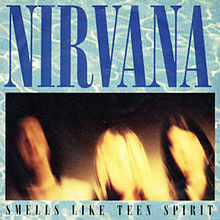 The music video for "Smells Like Teen Spirit" was the first for director Samuel Bayer. Bayer stated he believed he was hired because his test-reel was so poor the band anticipated his production would be "punk" and "not corporate." The video was based on the concept of a school concert which ends in anarchy and riot. Inspiration was taken from Jonathan Kaplan's 1979 movie Over the Edge, as well as the Ramones film Rock 'n' Roll High School. In 1995, Kiss opened their Alive World Tour in Chattanooga, TN. In 1996, Randor Music sent a letter to Bob Dole asking him to stop using their song "Soul Man" in his campaign. In 1998, Gary Glitter was charged 51 counts of indecent photos of children and sexual assaults on girls under 16.